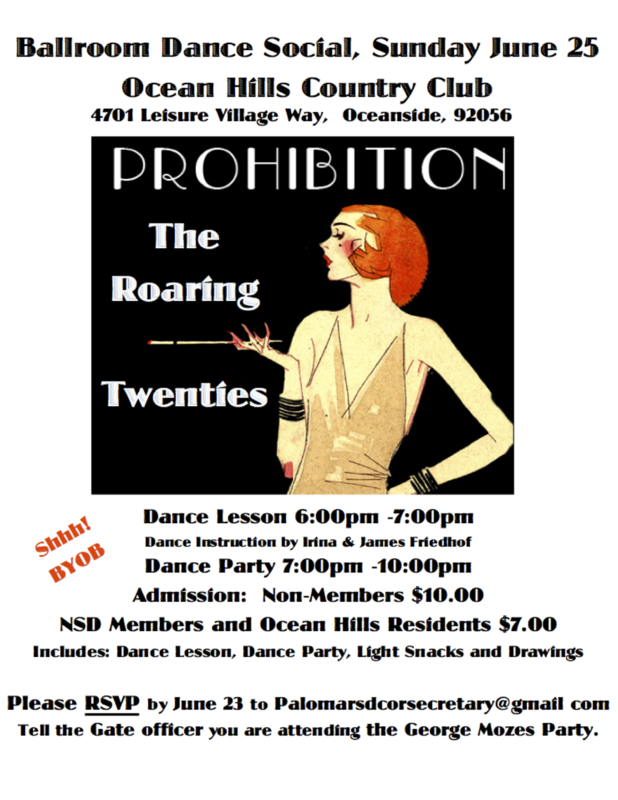 A non-profit, volunteer-run organization, National Smooth Dancers (NSD) was founded in 1938 for the purpose of creating greater interest in ballroom dancing and to establish friendliness and good will among dancers. There are eight Chapters in California reaching from San Diego to San Francisco with a total of more than 650 members. The Palomar Chapter was established in 1959. No one need feel awkward or self-conscious at our events as our members offer encouragement and support to dancers of all levels. We were all beginners once and were "dependent on the kindness of strangers" to become better ballroom dancers. The most important goal is to relax and enjoy the fun of a healthy activity for people of all ages. Bakersfield Board of Directors: Annual Statewide Business Meeting was held in 2019 from March 22 thru March 24, 2019. Be sure to check in advance. Click here for details and registration forms .